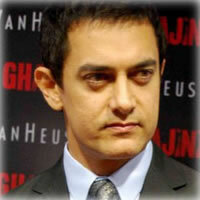 Aamir Khan is reportedly taking a keen interest in 3 Idiots though it is not his home production. The actor is said to be screening the film for a set of audience that comprise his family, close friends and contemporaries. Aamir is keen on gauging the audiences’ reaction even before the film’s release and hence follows this method. It is a known fact that Aamir has followed a similar mode for Taare Zameen Par. The star takes notes on what the audiences think about the film and edits it accordingly, says sources close to the film unit. 3 Idiots also star Madhavan, Kareena Kapoor and Sharman Joshi. While Vidhu Vinod Chopra has produced the film, it has been directed by Rajkumar Hirani.